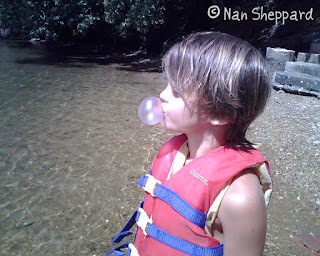 Sam forever blowing bubbles! and leaping with max. Okay, first: your kid is GORGEOUS. How do you not EAT HIM UP???? Second: excellent action shots! Third: I love how every picture looks like the BEST. TIME. EVER. 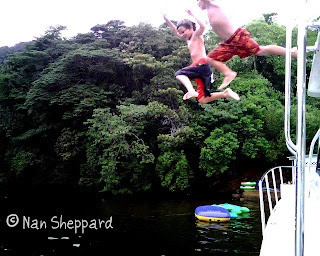 That is a great picture of them jumping into the water!